Our Saturday trip to Boston for the Boat Show started off with an easy drive up I-93 to Boston and we made our 11 am reservation at Coppersmith's Bar, a restaurant in South Boston located close to the Boston Convention and Exhibition Center, the site of the New England Boat Show. The restaurant opens at 11 am, but they also have a cafe that opens a few hours before and you can order coffee drinks along with tasty treats if you're eager to get going on a Saturday morning. 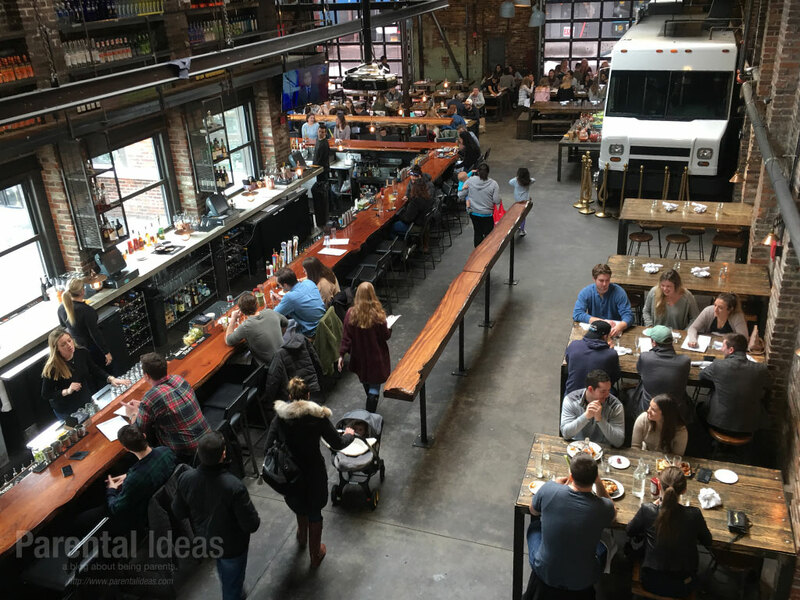 We walked in and were promptly seated near the dueling food trucks, which are permanently installed inside of the restaurant floor. 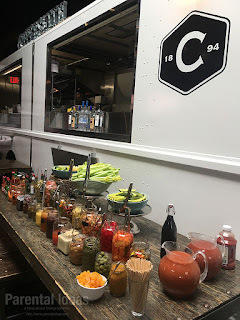 For weekend brunch, they also have a Bloody Mary bar where you order the alcohol from the bar and then go to the Bloody Mary bar to customize it to your liking. 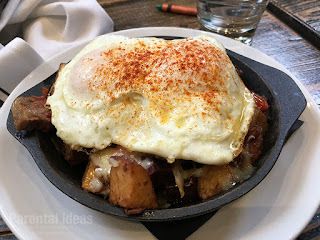 We're not big Bloody Mary people so we skipped that. We ordered the food which took a little while to prepare. 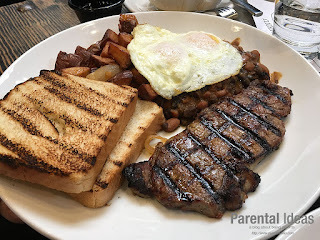 We tried all of the appetizers from sweet potato donut hole treats and tater tots to hangover wings and your typical steak and eggs or omelette. 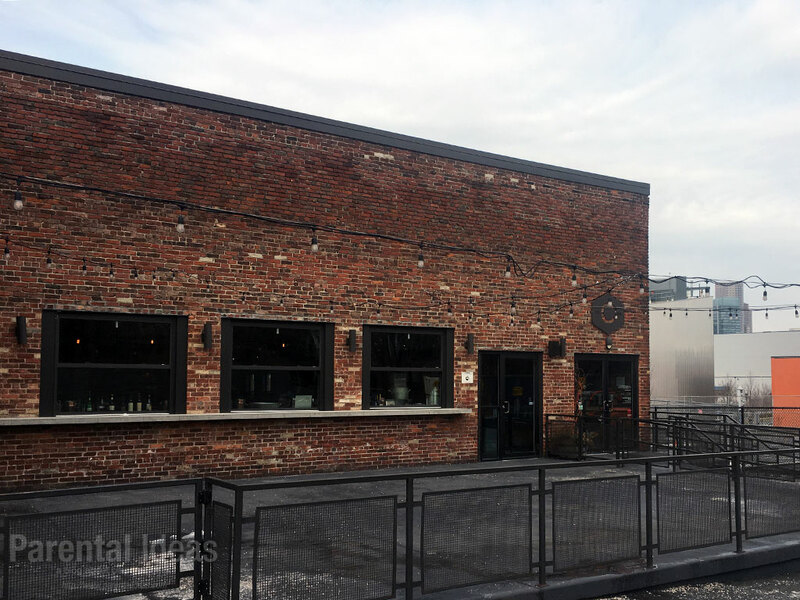 Emily tried the Felafel sandwich and the kids had sliders and chicken tenders. 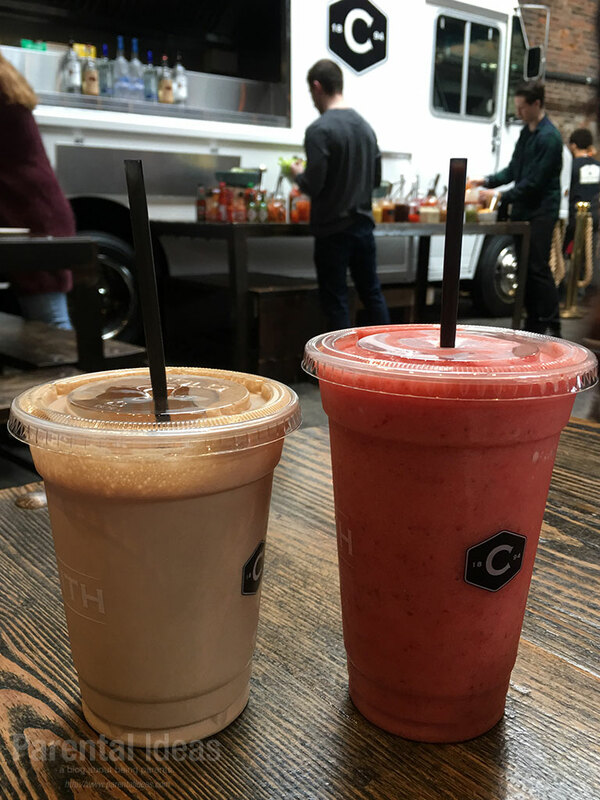 We truly enjoyed all of the food and smoothies, frappes and cappuccinos before heading over to the show. Upon arriving at the New England Boat Show, we parked onsite for $18 in a lot behind the convention center which made it easy to get to the show since the show is on the first floor. We had to pass through metal detectors to enter and the whole process was quick. We got to go on the various boats and the kids really enjoyed themselves, getting to explore boats and even try sitting in captains chairs! 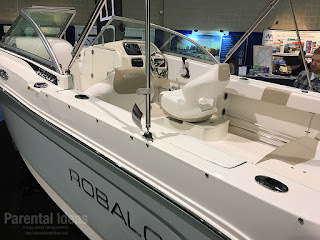 Luckily for the boat owners, the wheels were disabled so the kids could play with the steering wheel as much as they wanted to without ruining things. 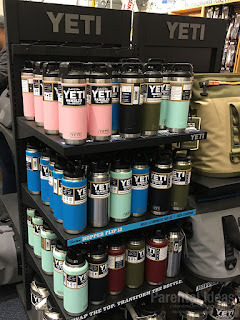 One of my favorite booths was Yeti, the makers of the eponymous premium coolers and stainless steel rambler mugs. 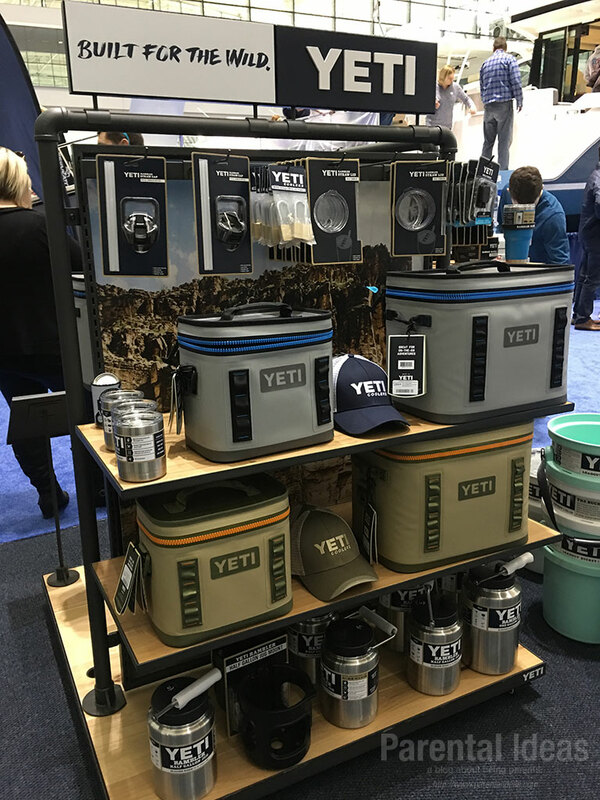 Their Tundra cooler line, which range from $200-450 are crafted with precision combine versatility with durability. The coolers are made of durable rotomolded construction and have up to two inches of PermaFrost™ Insulation. 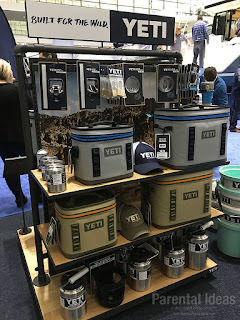 They also have cooler bags called the Hopper Flip which is a soft-shell cooler whose smallest size can hold 8 cans and the Hopper Two which is a carry bag that is built to last. The Hopper Two is easy to load and unload. Its tapered body shape is comfortable to haul and has a detachable shoulder strap. New for this year, they also have an attachable Side Kick dry bag which you can toss your mobile phone into and not have to worry about it getting wet thanks to RF-welded seams and a magnetic HydroShield™ Closure. The mugs are available in a variety of sizes and are double-insulated to keep your hot drinks hot and cold drinks cold. They are also made of stainless steel and are easy to wash. There were also some great kid-friendly things for families. 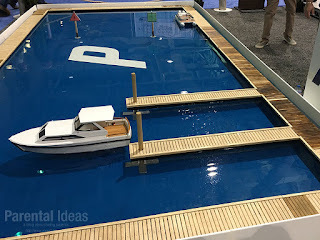 Progressive, the title sponsor of the show had a section where you could use a remote control boat to try driving it in a little pool and you could also enter to win a t-shirt, hate or cute keychain. 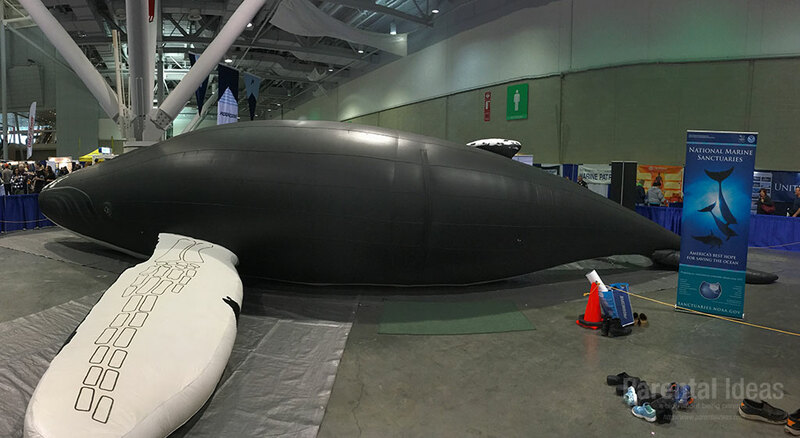 The Gerry E. Studds Stellwagen Bank National Marine Sanctuary had a booth and they brought along a huge inflatable life-size humpback whale that you could actually go into and learn all about whales. We found it absolutely fascinating! Who know whale poop was so good for the environment? We hope you enjoyed our recap and we look forward to attending this show again - it was so much fun! 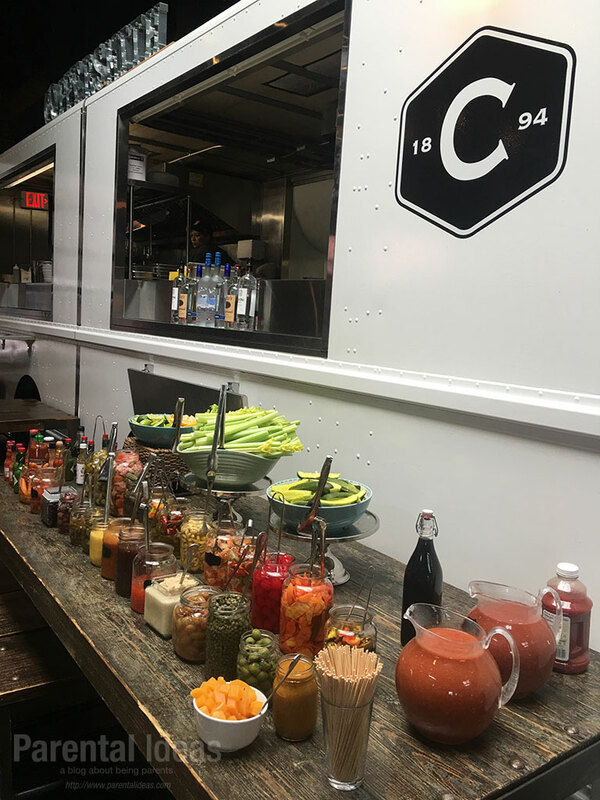 NOTE: We worked with the New England Boat Show and have been provided passes to attend as well as brunch at Coppersmiths Bar. All opinions are our own and are not influenced by any consideration we received..